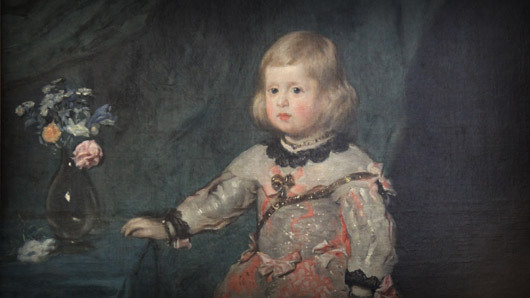 This portrait of princess Margarita Theresa was painted so that her uncle, Leopold I of Austria, could get a look at his future bride as she grew up -they married in 1666. 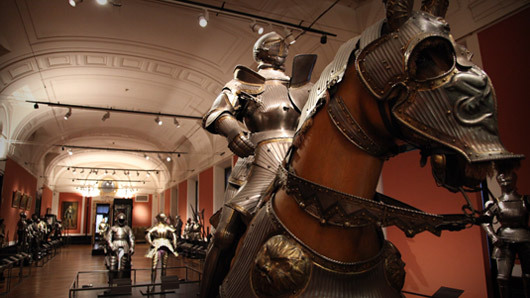 The Kunsthistorisches Museum is a treasury of antiquities and weaponry collected by the royal family known as the Habsburgs – a dynasty that ruled much of Europe for 500 years. 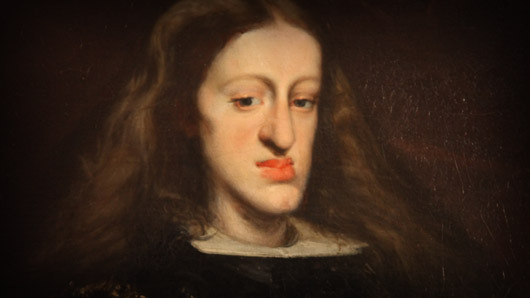 In this episode, we visit the crypt that entombs many generations of the Habsburg royal family, then meet a geneticist who is attempting to discover how inbreeding led to their demise. We go hunting with falcons to discover how one Habsburg emperor’s hobby lay the foundation for modern science, then recreate the alchemical experiment that led another emperor to believe that silver could be transmuted into gold. While learning the proper way to do the Viennese waltz, we discover how a dance craze impacted European history, then recreate a strange piece of ancient armor to find out how and why it was designed to explode. And finally, we meet a detective who takes us on the trail of a thief who purloined the museum’s most valuable treasure. Why was a piece of 15th century armor designed to explode, and can we make it work in the 21st century? 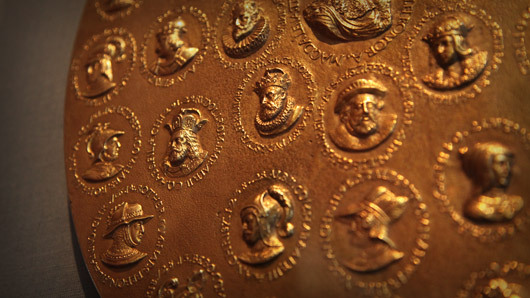 In 1677, in front of a crowd including Austria’s Emperor Leopold, an alchemist turned silver into gold. How did he do it? Why was the Waltz forbidden, and how did it change the course of European history? How did a Holy Roman Emperor’s love for falconry help him win a crusade, and bring Europe out of the Dark Ages? 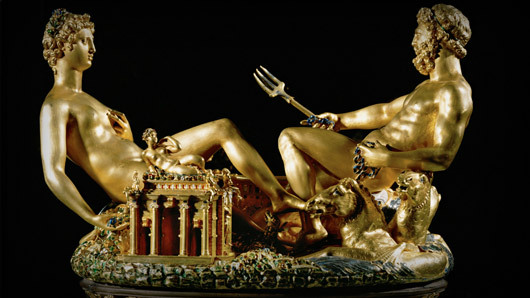 How did a smart detective catch the clever thief who stole a irreplaceable gold sculpture? How did the Habsburgs become the most powerful family in Europe, and why did their family nearly die out?